Facebook continues to be the largest and most widely used online social network. That’s why it makes sense to create a presence there if you want to be seen by potential customers, clients or fans. You may be aware that businesses and brands of all kinds are using the platform for marketing purposes, but it may still be unclear to you why it works. Specifically, Facebook Groups have become a popular secret weapon of marketing professionals to reach their target demographic. 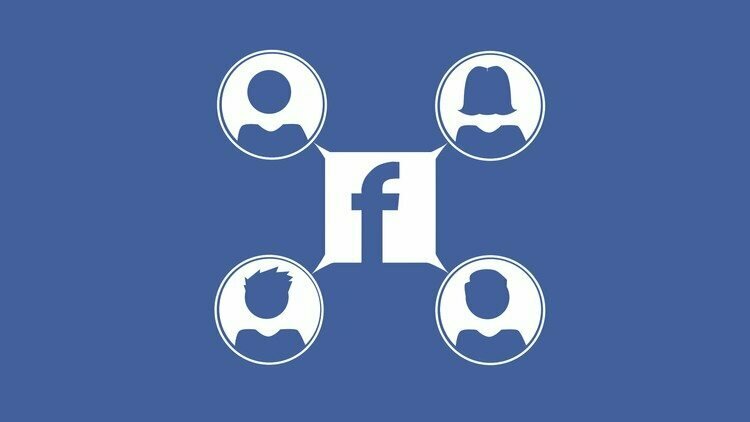 Read on to learn more about the benefits of Facebook groups for marketers. Besides offering a quality product or service to your clients, one of the most effective ways to inspire a loyal following is to develop a connection with them. When you engage with customers in a manner that feels personal to them that leads people to feel more invested in a brand. Facebook Groups are the perfect vehicle for creating this connection through encouraging people to come together around a common theme related to your business. The conversations that occur here organically bring members together to become a like-minded community. The old saying “out of sight, out of mind” is definitely relevant when it comes to making sales. People are more apt to purchase your product, enroll in your webinar or enlist your services if they are reminded of what you have to offer. Facebook Groups offers a great feature to help ensure your posts are seen by members. Each time a new post is added, group members will receive a notification, serving to remind them of your mission. It is possible for folks to opt out of receiving messages, but many do not. So keep posting interesting, relevant content on a regular basis and your fans will be more likely to remain engaged. Market research can be a time-consuming and expensive endeavor, but with Facebook Groups you have a free resource of willing participants to provide feedback on the quality of your latest offerings, the type of information that is most desired or anything else you need to know to be sure your business is on the right track. Asking for input increases the connection many will feel toward your brand. Be sure to circle back and let your members know if their specific suggestions were used and in what ways. They’ll appreciate the fact that their input is valued. One of the reasons Facebook Groups are so useful to marketers of all kinds is because of the versatility they offer. You can create three different types of groups to suit different needs. Public groups are open to anyone and can be found easily through search. Secret groups are by invite only and can’t be searched. A middle alternative is a closed group to which members must be approved, but those looking for such a group can find it with relative ease. Each type has its benefits and provides a format that fits various activities. A secret group could be used as the meeting place for a premium mastermind group, while a public group may be a good option for fans of a cult classic product to share their ideas, memes, photos and more. You can even create specific groups that allow you to sell products. These “for sale” type groups have specific functions for item descriptions, geographic location, and specific price. These are some of the fundamental benefits of Facebook Groups for marketers. Taking time to explore the group types and features, combined with a bit of creativity, will allow you to adapt group formats to your specific needs.